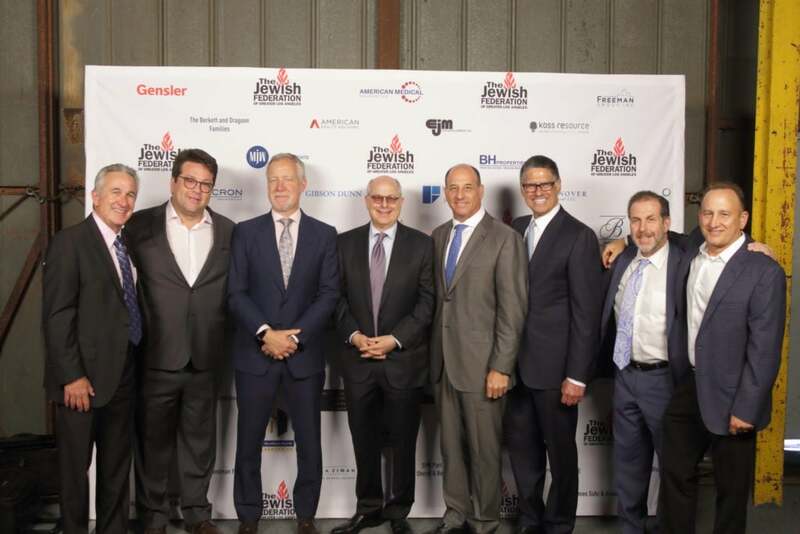 Los Angeles, CA, May 14, 2018 – The Jewish Federation hosted its annual Real Estate & Construction (REC) Division dinner on May 9, 2018 at the Barker Hanger in Santa Monica. 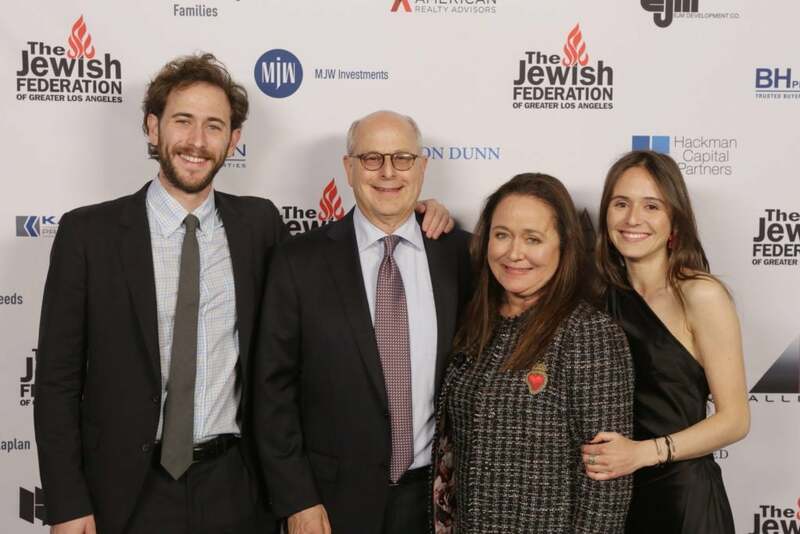 The dinner honored Michael Hackman, Founder & CEO of Hackman Capital Partners, for his leadership and contributions to the Federation and the Jewish community. The record-breaking dinner brought together over 1500 professionals and community members and raised over $3 million for Federation’s impactful work. Hackman Capital Partners is a privately held real estate investment and operating company that focuses on commercial and industrial properties in major U.S. markets. The dinner was co-chaired by Bryan Berkett, Brent Iloulian, David Chasin, and Reuben Robin. 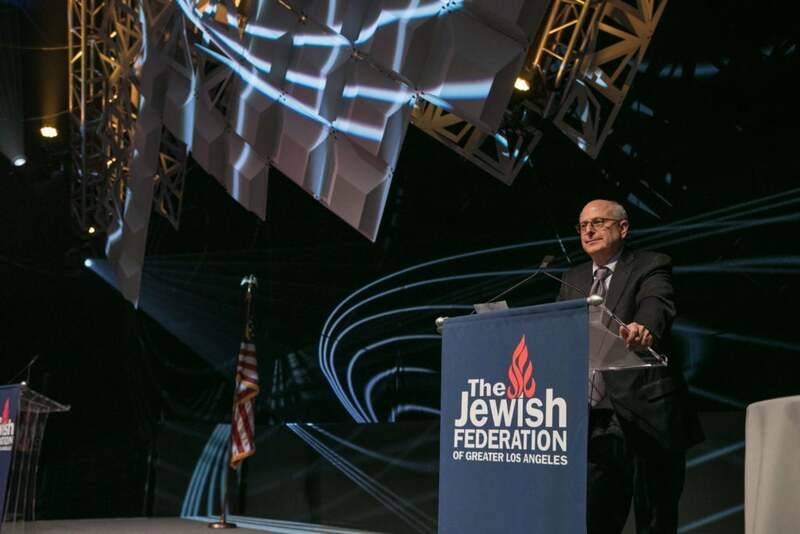 Jonathan Klein, Real Estate & Construction Division Chair, shared remarks, as well as Jay Sanderson, President & CEO of The Jewish Federation of Greater Los Angeles. The evening began with a cocktail hour filled with networking and mingling, followed by an acapella performance by the Pellas. Richard Pachulski presented the award to Michael Hackman, who shared remarks with the audience. Following the dinner, many guests attended the after-party. Based on Jewish values, The Jewish Federation of Greater Los Angeles convenes and leads the community and leverages its resources to assure the continuity of the Jewish people, support a secure State of Israel, care for Jews in need here and abroad, and mobilize on issues of concern to the local community, all with our local, national, and international partners. To learn more, visit www.JewishLA.org.